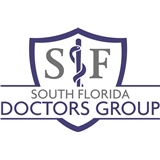 South Florida Doctors Group (Hialeah) - Book Appointment Online! This doctor was great! She took her time to answer all my questions. Granted I did wait to be seen but it was worth it. Very nice, knowledgable and professional doctor. The office staff also very nice and helpful.